Andrew Lloyd Webber’s The Phantom of the Opera holds a special place in my heart. Hal Prince’s original blockbuster production, which I saw no less than four times in Toronto back in the mid ’90s, was one of my first exposures to big, professional theatre, and I quickly became obsessed with the show. Yes, Phantom has its flaws. The plot teeters into treacly melodrama, and some may argue ALW’s sweeping score feels overwrought. But really, arguing the merits of the material isn’t getting us anywhere — the show has been a sure-fire hit for more than a quarter century with no end in sight. 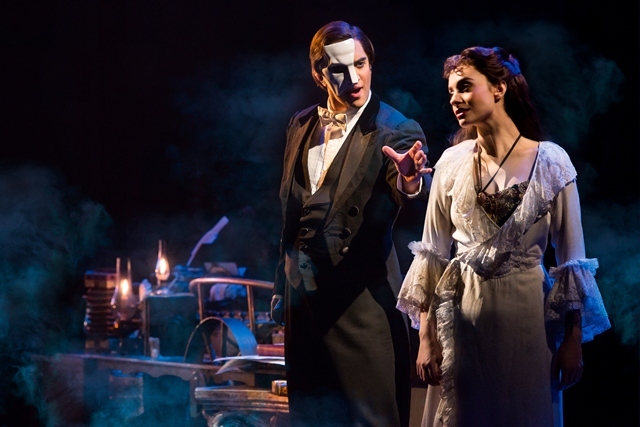 What drew me to this tour was that mega producer Cameron Mackintosh has stepped away from the original Prince staging and has built, from the ground up, a brand new production. Mackintosh has recruited up-and-coming director Laurence Connor, who brought new life to the recent Les Misérables tour that’s been making the rounds and is coming to Broadway in March, to helm this new production. Connor has a knack for pushing aside the bombast and finding real human truths in the material, and that skill is displayed here.